An innovative new portable decompression chamber is now making it possible for scientists to safely bring deep-dwelling fish up to the surface. 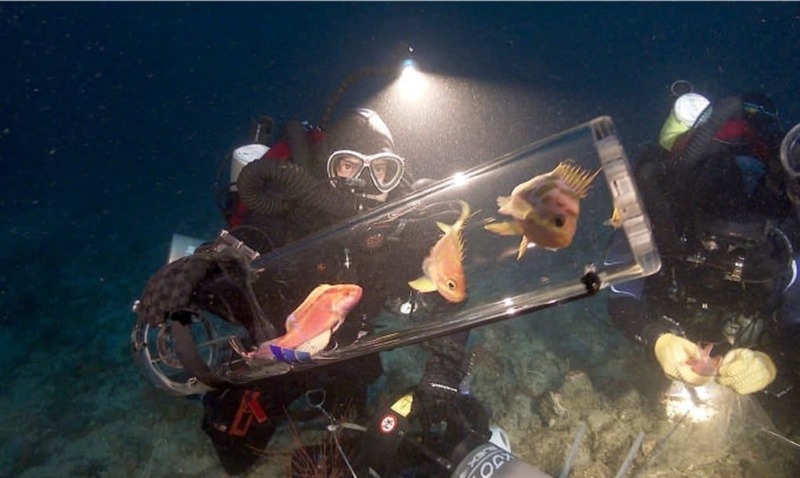 Until recently, the relatively dark and very mysterious Mesophotic Zone of the ocean has been mostly off-limits for study – there is only so much scientists can learn and achieve under conditions involving extreme pressure and limited light. With pressures of around 15 times that of the ocean’s surface, the depth these fish species reside in keep them safe and intact, and it has not been possible to safely transport them from these depths to the surface to be studied. When the fish ascend, they are highly likely to experience barotrauma. Their air-filled swim bladders start expanding and start to push their stomachs out of their mouths. It can make their eyes pop out, or even cause their insides to explode. This leaves thousands of fish species and coral ecosystems unstudied – until now. With the new device, developed by researchers from the California Academy of Sciences and Monterey Bay Aquarium, studying the enigmatic area 150 meters under the ocean has become significantly more accessible. The gadget is named the Submersible Chamber for Ascending Specimens (SubCAS) and can bring the strange and wonderful creatures from those depths safely to the surface. Since the 1970s, pressurised sampling devices have been in existence in some form or another, all large and unwieldy ROV attachments, and not at all fit for this purpose. The SubCAS was designed to be compact and easy to use. 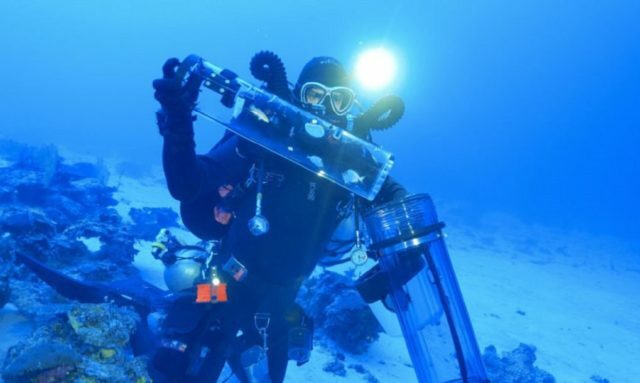 Divers are able to easily take the device, which is basically a long transparent cylinder, down with them as they descend into the depths of the Mesophotic Zone. Once divers reach a depth of around 55 meters, the cylinder is inserted into a larger cylinder. A bubble of air is blown into the gap between the two cylinders, creating a pressurised chamber, and specimens are then collected and placed inside. As the divers ascend to the surface, the air bubble expands and maintains pressure in the chamber. Once the diver and the device are around 30 meters from the surface, a team of biologists take over and slowly release the pressurised bubble. This takes two to three days and allows the fish to acclimate to the pressure on the surface. According to Science Daily, the SubCAS is vital to investigating species that are entirely new to scientific study. It allows research teams to obtain significant insights into fish biology and behavior, and helps them to gain a better understanding of what it takes to survive in this mysterious region of the ocean. By making these discoveries, it is hoped that it can improve knowledge of coral reefs and how to protect them. With a goal of reminding the world of the wonders of the waters of our planet and its life forms, it is anticipated that this invention will play a role in inspiring conservation of our oceans.